Author: Brooks, Geraldine Set In . . . Description: An unforgettable tale of a brave young woman during the plague in 17th century England from the author The Secret Chord and of March, winner of the Pulitzer Prize. 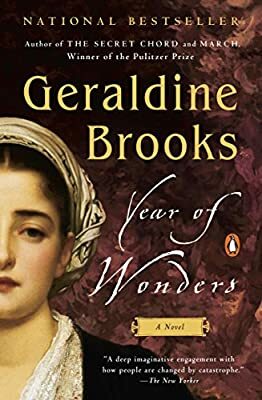 Inspired by the true story of Eyam, a village in the rugged hill country of England, Year of Wonders is a richly detailed evocation of a singular moment in history. Written with stunning emotional intelligence and introducing "an inspiring heroine" (The Wall Street Journal), Brooks blends love and learning, loss and renewal into a spellbinding and unforgettable read.